Metal chassis for Samsung Galaxy S5? We all know that the new Samsung Galaxy S4 is a very good smartphone and this is a start point for asking questions about the next device from the S series. Some specialists are already talking about the next Samsung Galaxy S5 which will probably have a 16 MP camera with OIS as some recent reports announce. Also, those reports are letting us know that the new flagship device of Samsung will probably have a metal chassis which will offer the device a more stylish design. The device will probably be launched somewhere in the first part of 2014, but we heard that Samsung already created the metal chassis in Europe and send it to Taiwan for mass production. Samsung want to create something new, but also full of quality and this is the reason why it made a move so early about its new flagship device. A metal chassis will probably look good and also offer a better protection for the device, but Samsung is thinking about some issues like radio interference. 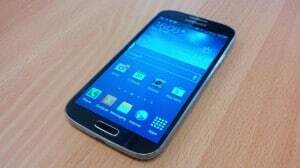 However, rumors about a metal chassis were moving around last year, when we expected the Samsung Galaxy S4. Now, we can see that those rumors were just rumors and nothing changed to reality, but also, we do know that rumors aren’t alive without a little bit of truth. So, we can only wait and inform about future rumors or leaks to create a better idea about the Galaxy S5.